Jason Kipnis has hit six home runs in spring training. The significance? He hit only 12 all season in 2017, but if he can keep up the long ball and if Cleveland’s starting rotation is as consistent as it appears it could be, the Indians, who won the AL Central last year, may be poised to repeat. There appears to be plenty of enthusiasm from fans, who are already putting their money where their mouths are. 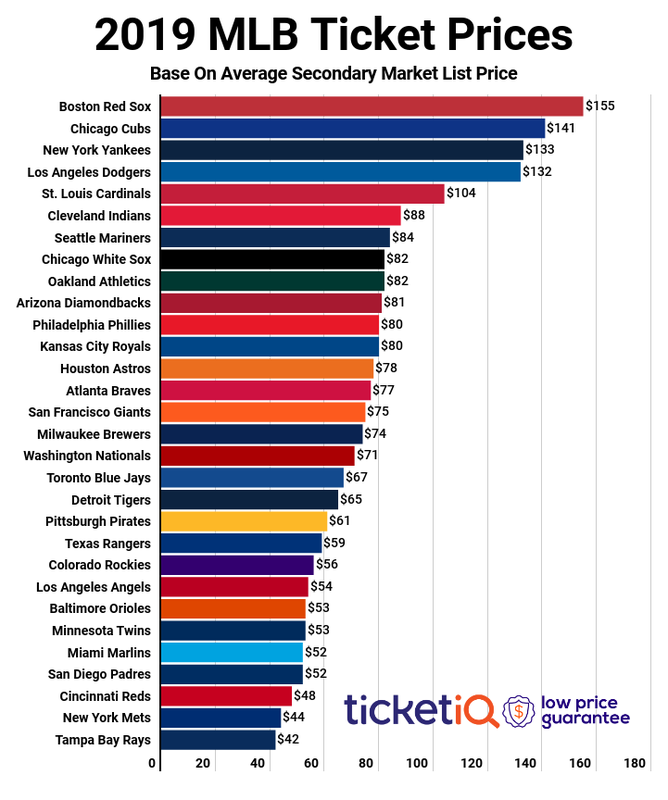 According to TicketIQ.com, the average asking price for a ticket to an Indians home game this season is up nearly 16 percent against 2017, from $77 to $89 per seat. The asking price is the highest it’s been since TicketIQ.com started tracking data in 2010. The third-highest average was $61, in both 2016 and 2011 – Cleveland got all the way to the World Series in 2016, losing to the Chicago Cubs in seven games. That season, Kipnis hit a career-high 23 dingers during the regular season. The cheapest Indians ticket of the decade was in 2015, when it cost only $38 to see a game at Jacobs Field. After losing to the Cubs in 2016, the Indians moved to the top of the list of longest World Series droughts – the team last won it all in 1948. While the spike in everyday tickets is significant, prices for the Indians Opening Day are up, but only moderately. 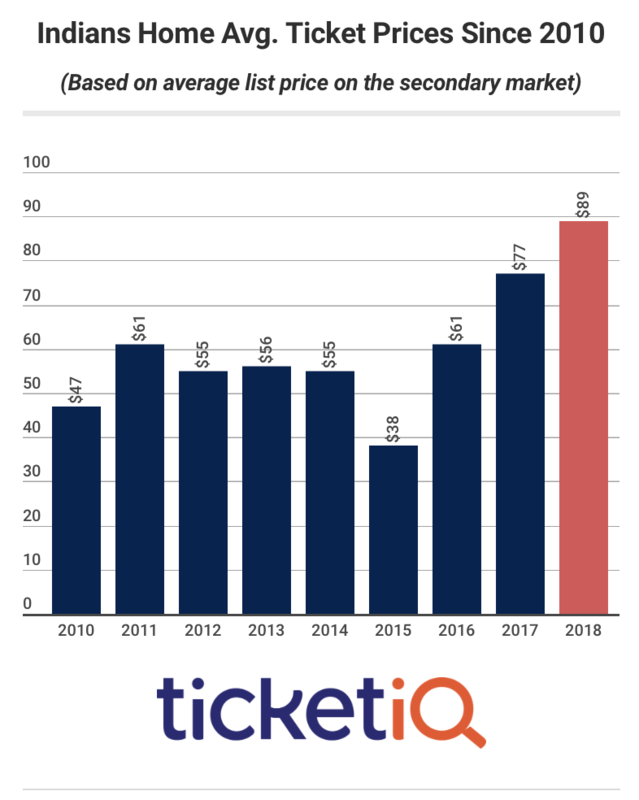 TicketIQ.com data currently shows an average asking price of $255 for OD, compared to $247 for last year. The Indians will host the Kansas City Royals in the team’s home opener on April 6. Cleveland opens the regular season at Seattle on March 29. At the start of the decade, it cost only $38 to see Opening Day, the cheapest price over the last 10 years. Since Opening Day tickets cracked the $100 barrier in 2013 ($103), the number has risen fairly steadily. The price of an Opening Day ticket was less than the previous year only once – in 2016, when it cost $173 compared to $189 in 2015.